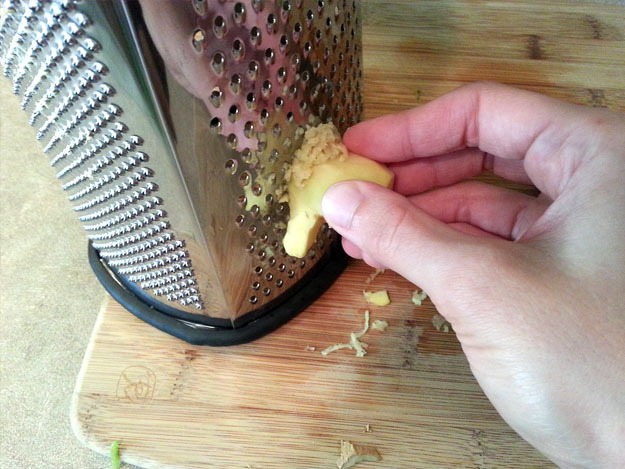 Grate ginger, then mix with soy sauce and mirin. 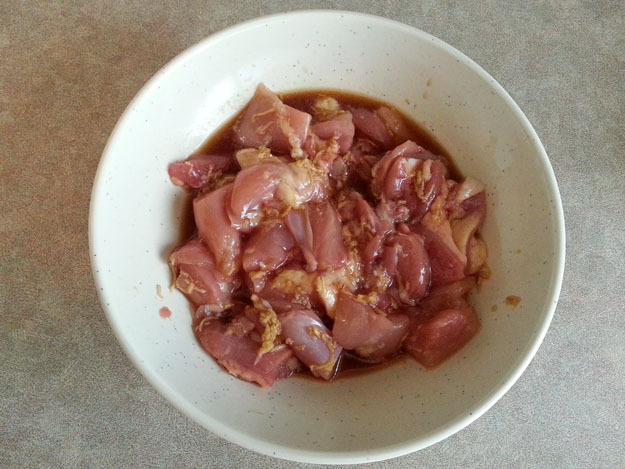 Add chicken and let marinate 30 minutes. 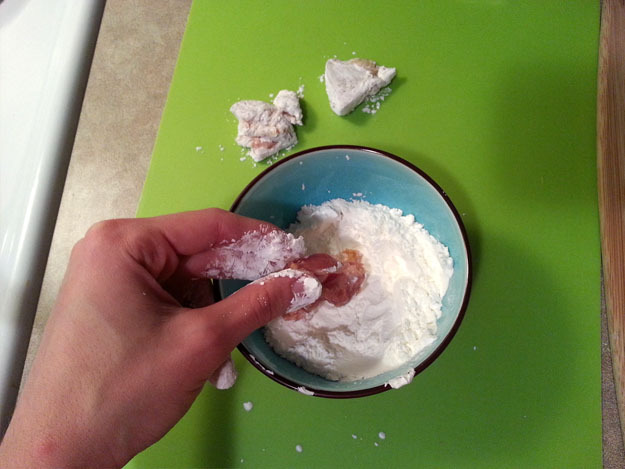 Pat dry chicken with paper towels, then dredge in cornstarch. Heat oil in pot over medium high heat. When it reaches 360 degrees, fry chicken a few pieces at a time until golden, about 5 minutes. Transfer to paper towels to drain. Serve with lemon wedges. Did you know KFC is really popular in Japan? Indeed it is, and fun fact, it’s actually really popular as a Christmas meal! Way back in 1974, foreigners in Japan during Christmas found traditional roast turkeys hard to come by. Without the traditional bird available to them, many decided to celebrate over a bucket of fried chicken as the next best thing. 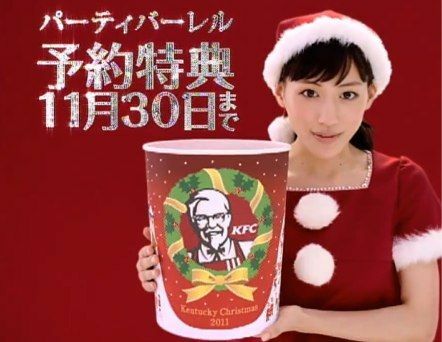 KFC saw this as a prime opportunity and started their “Kurisumasu ni wa kentakkii!” (Kentucky for Christmas!) marketing campaign soon after. Over they years they added new items to the Christmas package (like wine!) and now you can buy a complete feast to celebrate the holiday with! But I digress… This recipe is not for KFC. While I do enjoy Kentucky fried, I love Japanese fried more. Japan has their own version of fried chicken that I find so much more crave-able than their American counterpart. There is something about chicken karaage that makes me feel better than eating regular fried chicken. Perhaps it’s the lightness of the ginger, or maybe the sprinkle of lemon juice on top, but I don’t feel as heavy after eating it than regular fried chicken. Give it a try some time, and I’m sure you’ll be hooked too! 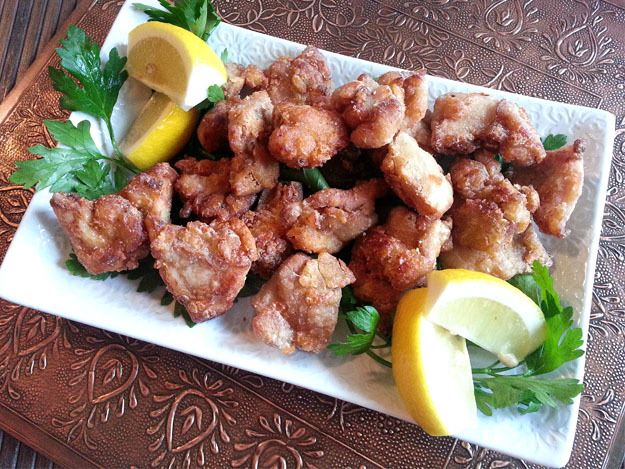 Chicken karaage is traditionally made with chicken thighs. I know it’s probably tempting to use chicken breast instead, so feel free to use it, but don’t be surprised when it comes out a little dry. Chicken thighs are a much juicier part of the bird, which make them perfect for frying and keeping the meat moist! You can also use cornstarch instead of potato starch, but the texture will come out denser. First time frying? Don’t be intimidated, it’s not hard! 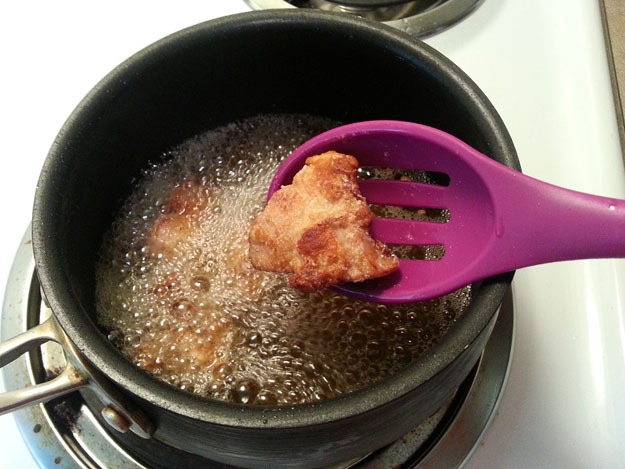 Check out my how to with tips on how to keep fried foods as healthy as possible! 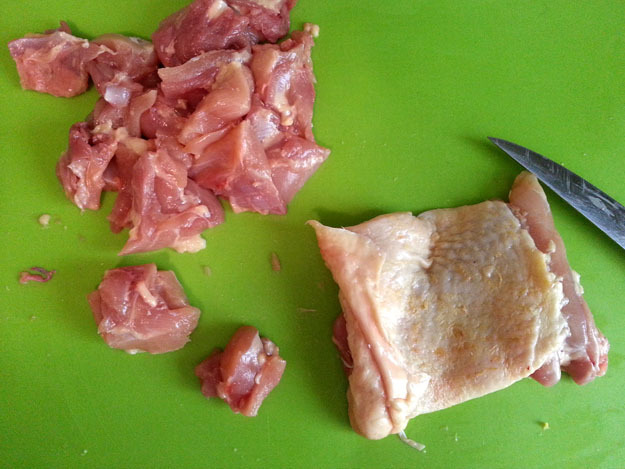 – Cut the chicken thighs into one inch pieces, removing the skin if you wish, I kept it on. 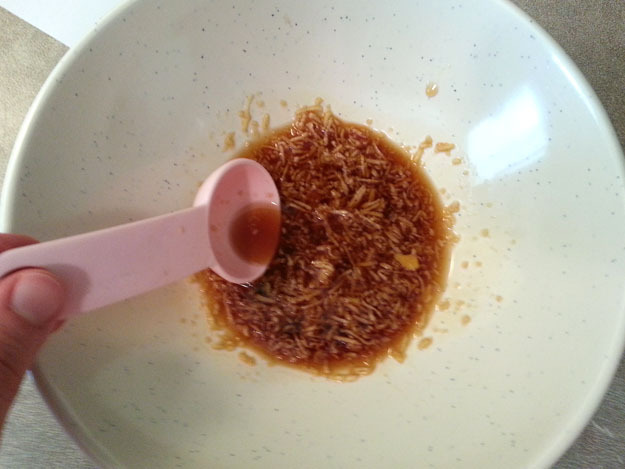 – Grate or mince the ginger, then mix with the soy sauce and mirin. – Add the chicken, cover and let marinate in the refrigerator for 30 minutes to 2 hours. 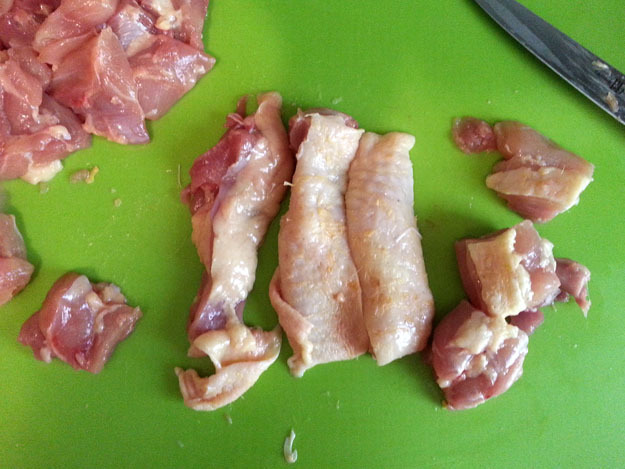 – Pat dry the chicken to remove excess moisture, then dredge each piece in cornstarch, making sure it is evenly covered. 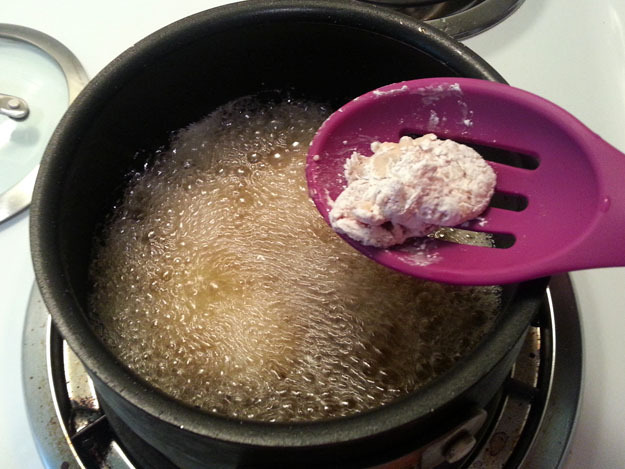 – Heat a small pot over medium high heat with enough oil to just cover the chicken. The oil needs to reach 360 degrees, or you can test the heat with a test piece of batter. Add a few pieces of chicken to the oil at a time, making sure not to crowd the pan. 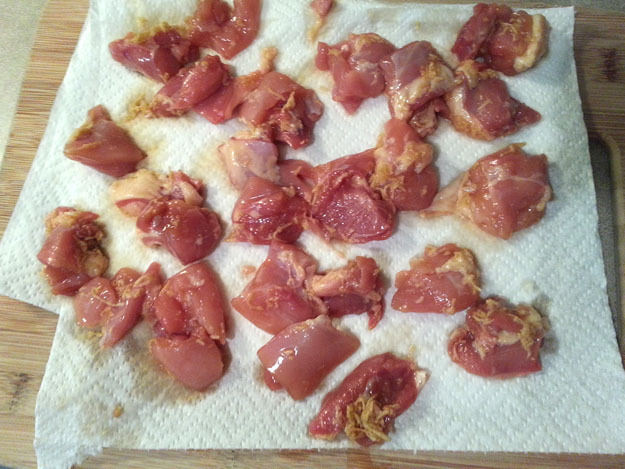 – Fry the chicken pieces for about 5 minutes until the exterior is golden. – Transfer to paper towels to drain. Serve with lemon wedges. Yes, potato starch is more common. Potato starch isn’t as common overseas, or at least near me, so I tried to adapt it to make it with more readily available ingredients. Feel free to use either starch! They are slightly different, but give the same overall effect.